de Leve, G, Federgruen, A, & Tijms, H.C. (1977). 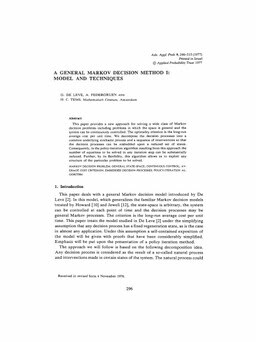 A general Markov decision method, 1: model and techniques. Advances in Applied Probability, 9, 296–315.